Doing small changes can have a big impact. This is thought is so true with today’s review. Here you will find out about what is Bulletproof® Coffee from Dave Asprey The Bulletproof Exec. Sam & I changed the way we started drinking our coffee in the morning back in July 2012. We are passionate coffee drinkers, so we always like to have a cup of coffee in the morning. This is one of our daily feel good habits. Have you ever thought how you can optimise your daily coffee or tea? We did, and there have been some big changes in our lives because of changing one simple habit of using butter instead of milk. Laree is someone I follow on Twitter because she is involved with healthcare professionals who have a passion for functional exercises. The “super coffee” phrase caught my eye early one morning and so it awoke my curious mind. The link in the tweet above would take you to the page on Dave’s website, where he wrote down how he developed the “super coffee”. He didn’t call it that of course he named it Bulletproof® Coffee and registered it as a trademark. Basically, he was inspired by the Tibetan drink, yak butter tea, in the Himalayan mountains. After enjoying the energy boost from sipping on butter tea, when he got back home from his travels, he tested adding butter into coffee. From there, he refined the process further by adding a refined coconut oil called MCT oil (medium chain triglyceride oil) into the coffee. He nows has his favourite called Brain Octane oil. He then went investigating about what are the coffee farming and roasting methods that make the best coffee beans. Dave shares research on how a large amount of commercial coffee might have undesirable levels of mycotoxins. Mycotoxins come from mold growing on the coffee beans. The mold can start at the coffee farm depending on how the beans are harvested. This is when he was looking at the different coffee processing methods, for example, natural pulped & wet processed. Then there is how they are stored. Mold can grow on them in a warehouse or on a container ship, on their way to their destination country to be roasted. There is a precise science to brewing the perfect cup of “super coffee”. Using a water filter helps improve the taste of coffee. The Bonavita variable temperature digital electric kettle is what I use. Use a digital kitchen scale to measure 35 grams of freshly ground coffee beans per 500 ml of water (2 rounded tablespoons of ground coffee per 6 oz. of water). Dave recommends using a non-paper filter method. The French Press method which is a boiled coffee method & is the preferred brewing technique. Other ways to make it are using an Aeropress coffee and espresso maker with a stainless steel filter, stove top espresso or pourover coffee like a Hario V60. A high speed food and beverage blender is really recommended, like a Blendtec or Vitamix. I’ll say it again – the blending step is super important! In the video below, you’ll see my initial attempts, when I didn’t use a blender. End result was tasty, but not as tasty as it could be and definitely not pretty. I now recommended these blenders for Bulletproof Coffee. Making the coffee the wrong way I don’t know how I managed to keep the course. Seeing a yellow layer of melted butter fat floating on top of my coffee was not visually appealing at all. I then mixed in normal virgin coconut oil to get an even thicker oil slick on top of my coffee. Somehow I managed to keep this down when drinking it! Add hot water to pre-heat your coffee cup, french press and blender so to not lose heat in the process. Try a bodum pavina glass or cup with its double wall it really does keep the heat and is not hot to hold. Add vanilla, cacao butter or chocolate powder, for flavoured variations on the original recipe. I know like adding CollaGelatin or Bulletproof Collagen in the morning for added protein. 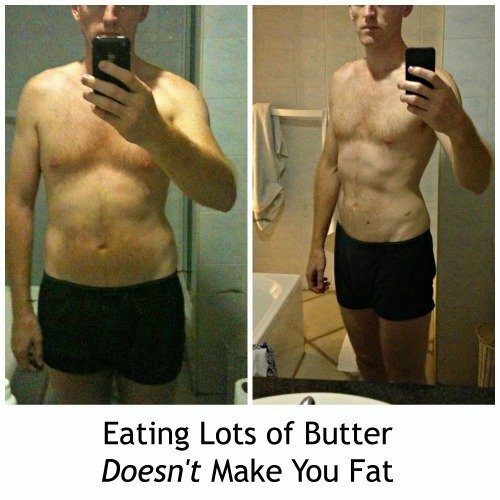 The main reason I was willing to try melting butter in my coffee, was to help add fat into my diet. I had been reading how children with epilepsy, on a high fat diet (ketogenic diet) had lower risk of seizures, and how Alzheimer patients could benefit from coconut oil. Nutritional ketosis is trying to get energy from fat. This is compared to glucose, which is energy from carbohydrates and protein. Watch out for keto flu symptoms when you first start out. Butter gives you fat soluble vitamins A,D,E, K & Butyrate for healing your gut & reducing inflammation. MCT oil provides quick access to ketones for energy. Coffee provides caffeine and anti-oxidants. The improved memory and brain function is what I was gunning for, so that week I got some butter and started the journey. I had to get over the initial fat phobia that I had had since I was a teenager. I had been on a low fat diet, just because I thought saturated fat, like in butter, it was bad for you. I had never put butter or, thankfully, margarine on my toast or sandwiches. A little bit of olive oil was about as far as I went towards some healthy oil. I didn’t eat deserts normally and avoided fried foods. Following the Bulletproof diet infographic guide you can see there are bad fats and healthy fats. The vegetable oil fried food and sugary deserts are in the red zone. However, butter and ghee are well in the green zone. My cholesterol went up a lot! However, that sent me down a massive cardiovascular risk research review. I need to write it up at some stage, but basically I don’t believe in the the cholesterol-heart disease hypothesis causes heart attacks anymore. Thanks to doctors like Dr Malcolm Kendrick books and blogging. Listen to Dave Feldman biohacking high cholesterol also when eating a high fat diet. As I said before, my goal was to enhance my brain, not to lose weight. I am 192cm (6′ 3″) tall and have always had a lean, muscular physique. I weighed 94 kg at the start and had been stable around the 89-94 kg mark for some years. Saying that, I was feeling the heaviest I had ever been and not because I had been doing weights at gym. Over a 8-month period, I went from 94kg to 79kg. That’s a 15kg weight loss. My trouser size went from a comfortable 36 inch waist to an easy 34 inch size. I did no gym workout during this entire time. 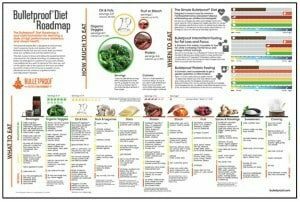 I must admit I was using Dave’s Bulletproof diet food along with John Keifer’s “The Carb Nite® Solution” protocol and then naturally ended up with intermittent fasting. It was when I lowered my protein intake, and upped my fat intake that I could easily go for 12-24 hours without feeling hungry or needing to eat. This was also the time I hit 79kg and felt I had lost too much weight. Since then, I have added more safe carbohydrates, like white rice and sweet potato into my diet to gain my optimal weight around 88kg. At the end of day I learnt the food you eat affects your hormones like insulin. Hormones have a massive impact on what your body weight is without exercise. I also learnt about the power of post-prandial blood testing for glucose response. 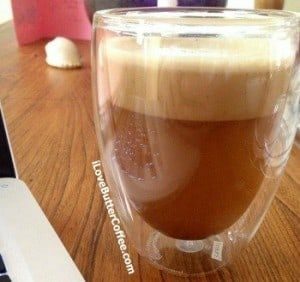 Is Bulletproof Coffee a Scam & Should I Do It? No is the answer if Dave is scamming us. I feel after listening from episode 1 of his many Bulletproof Radio podcasts, watching him on Creative Live TV for 3 days, buying his Upgraded™ Self products and trying them on myself that what Dave says, has merit. There are many medical doctors now promoting the high fat low carb lifestyle for longevity and reduction in lifestyle diseases like metabolic syndrome, diabetes, obesity and cardiovascular disease. I like how Dave thinks about how to optimise current thinking further. Like, should you have gluten on The Carb Nite® Solution or a Tim Ferriss Four Hour Body cheat day? How is food processed and how can you get that high quality food? Dave likes his gadgets and because of him I started using an emWave2 from HeartMath for testing and training my heart rate variability. This all falls into my health philosophy of getting your mind, body and gut right, to achieve better results in life. YES is the answer to – “should you try Bulletproof® Coffee?”. I say that because who knows what positive things might happen, once you change the way you drink coffee. 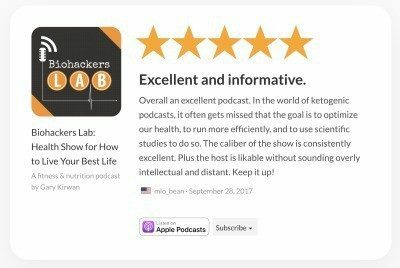 Hell look I even started a Biohackers Lab health podcast with this lifestyle change. As a special bonus I have arranged a discount with a UK wholesale supplier of Upgraded™ coffee, and who stock a lot of Dave’s other products. If you go to the Functional Self website and use the coupon ” DRKIRWAN” at the checkout stage you’ll get 10% off your first two orders that also include free shipping and posting. Thanks Warren and Brad. No matter if you live in the UK, you can still buy all of the official Bulletproof products directly from the US Bulletproof online store here (Check out if there is a current discount code). They definitely can post to your UK or most European addresses. For the full range of products you’ll need to buy from the US store, but you may need to pay some customs duty. Thanks for all your info and sharing your experience. I just got the brain octane oil and oddly enough I have been gaining weight. However I haven’t exactly been watching what and when I’m eating lately as a few bad health episodes completely threw me off. But i just noticed that the weight and I suspect that if you’re not using the brain octane oil correctly it can aid in gaining. Especially if you’re bedridden for a over a week. What do you think? Any way I’m feeling better and better and I’m going back to my intermitten fasting and eating right and my back on track and in sync with life – lifestyle. I just need tips on getting back into it and not overwhelming myself i guess. Any thoughts would be greatly appreciated. 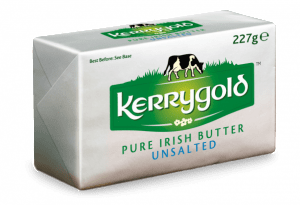 I just bought the Kerrygold Butter and Virgin Coconut Oil. I will start this tomorrow and go real slow since I am on a vacation and going into it gradually might work just as well as going full blast. I think some peoples’ bodies need a little getting-used-to-time to all the added fat. Especially if your liver and gall bladder are a little damaged from past eating habits.